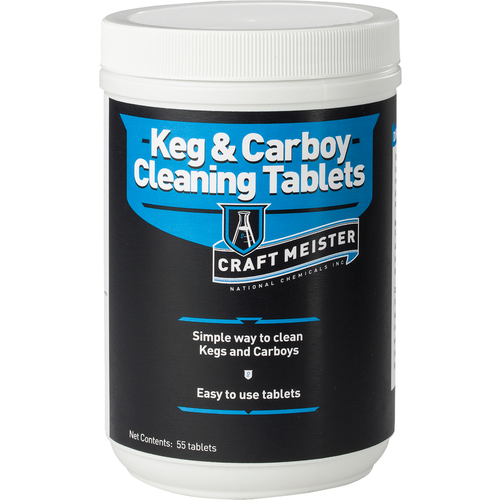 Craft Meister Keg & Carboy Cleaning Tablets are the ultimate in convenience and take the guess work out of properly measuring your cleaner. 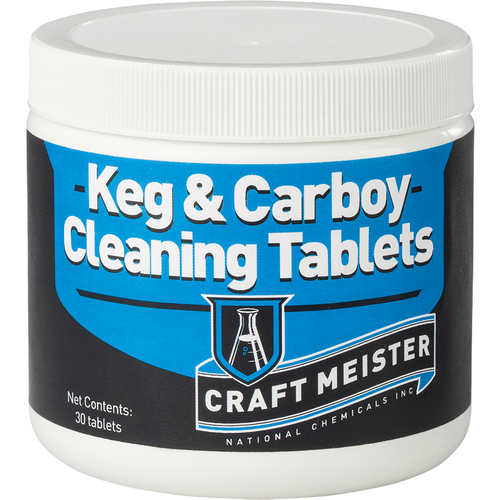 Created by popular demand following the National Homebrewer’s Conference in 2014, these handy Tablets are the industry’s first pre-measured cleaning product. 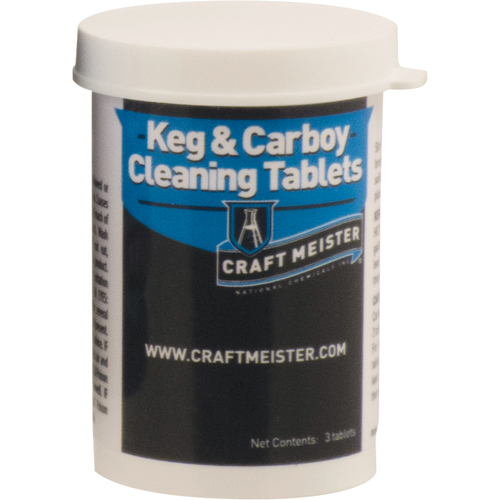 Simply fill your keg or carboy with hot water, add Tablets and let them do the dirty work for you. 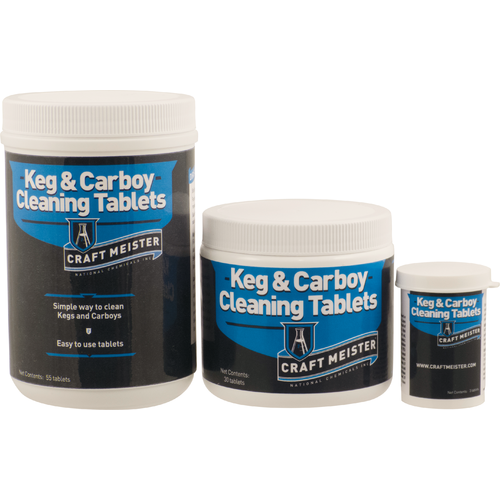 Keg & Carboy Cleaning Tablets are a mix of powerful alkaline and oxygen cleaners providing a one-two punch to knock out soils and build-up. Stir lightly to dissolve tablets. Use brush or repeat for stubborn soils. Safe for use on glass, plastic, and stainless steel.